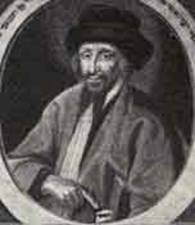 Rabbi Jacob Emden(1697--1776) was one of the leading Torah authorities of the past several centuries. Historians of the rabbinate have often compared him to Maimonides, both having written on all branches of Jewish knowledge, and both having shared a pragmatic and even innovative approach. Even those who disagreed with him sought his opinion, and he is read with interest to this day. Thus, Moses Mendelssohn, founder of the Haskalah (Enlightenment) movement, wrote to him as "your disciple, who thirsts for your words." For it is recognized that also the Nazarene and his disciples, especially Paul warned concerning the Torah of the Israelites, to which all the circumcised are tied. And if they are truly Christians, they will observe their faith with truth, and not allow within their boundary this new unfit Messiah Shabbatai Zevi who came to destroy the earth. But truly even according to the writers of the Gospels, a Jew is not permitted to leave his Torah, for Paul wrote in his letter to the Galatians. Again because of this he admonished in a letter to the Corinthians that the circumcised should not remove the marks of circumcision, nor should the uncircumcised themselves. **1 Corinthians 7:17-19 – “But as God has distributed to each one, as the Lord has called each one, so let him walk. And so I ordain in all the churches. Was anyone called while circumcised? Let him not become uncircumcised. Was anyone called while uncircumcised? Many have asked that Paul appears to contradict himself here. In the Acts of the Apostles (Acts 16), it is mentioned that Paul circumcised his disciple Timothy. This is also recorded in Luke (Luke 16), It is therefore exceedingly clear that the Nazarene never dreamed of destroying the Torah. We similarly find Paul, his disciple, in a letter to the Corinthians, accusing them of fornication, and condemning one who had lived with his father’s wife. 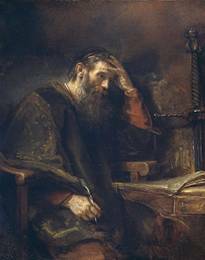 You may therefore understand that Paul doesn’t contradict himself because of his circumcision of Timothy, for the latter was the son of a Jewish mother and a Gentile father (Acts 16), and Paul was a scholar, an attendant of Rabban Gamaliel the Elder, well-versed in the laws of the Torah. He knew that the child of a Jewish mother is considered a full Jew, even if the father should be a Gentile, as is written in the Talmud and Codes. He therefore acted entirely in accordance with the Halakha by circumcising Timothy. This would be in line with his position that all should remain within their own faith (I Corinthians 7). 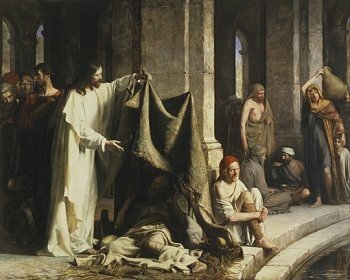 Timothy, born of a Jewish mother, and the law of a Jews, and had to be circumcised, just as he was enjoined to observe all commandments of the Torah (Paul’s condemnation of the man who lived with his stepmother is similarly understandable, as such an act is also forbidden to Noahides), for all who are circumcised are bound by all the commandments. This provides a satisfactory reply to the question. This will also solve the apparent contradictions in the Nazarene’s own statements. Christian scholars have assumed from certain passages in the Gospels that he wished to give a new Torah to take the place of the Torah of Moses. How could he then have said explicitly that he came only to fulfill it? But it is as I have said earlier – that the writers of the Gospel never meant to say that the Nazarene came to abolish Judaism, but only that he came to establish a religion for the Gentiles from that time onward. Nor was it new, but actually ancient; they being the Seven Commandments of the Sons of Noah, which were forgotten. The Apostles of the Nazarene then established them anew. However, those born as Jews, or circumcised as converts to Judaism; one law shall be to him that is home-born, and unto the strangers are obligated to observe all commandments of the Torah without exception. But for the Gentile he reserved the Seven Commandments which they have always been obligated to fulfill. It is for that reason that they were forbidden pollutions of idols, fornication, blood, and things strangled. They also forbade them circumcision and the Sabbath. All of this was in accord with the law and custom of our Torah, as expounded by our Sages, the true transmitters from Moses at Sinai. 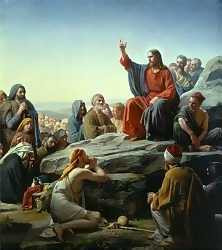 It was they who sat upon his seat (as the Nazarene himself attested). 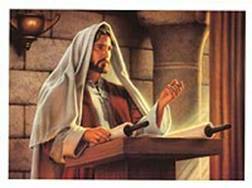 Matthew 23:1-5 – “Then Yeshua (Jesus) addressed the crowds and his talmidim (disciples): ‘The Torah-teachers (scribes) and the P’rushim (Pharisees),’ he said, ‘sit in the seat of Moshe (Moses). So whatever they tell you, take care to do it. But don’t do what they do, because they talk but don’t act! They tie heavy loads onto people’s shoulders but won’t lift a finger to help carry them. It was they (the Sages of Pharisees) who said that it is forbidden to circumcise a Gentile who does not accept upon himself the yoke of (all) the commandments. The Sages likewise said that the gentile is enjoined not (fully) to observe the Sabbath. The Apostles of the Nazarenes therefore chose for those Gentiles who do not enter the Jewish faith that instead of circumcision they should practice immersion (for truly immersion is also a condition of full conversion), and a commemoration of the Sabbath was made for them on Sunday. But the Nazarene and his Apostles observed the Sabbath and circumcision as mentioned earlier, for they were born as Jews. They observed the Torah fully, until after a period of time a few of them decided to give up the Torah among themselves completely. They said that its observance was too difficult for them and agreed to remove its yoke from their neck (Acts 15). But even here they did correctly as far as the Gentiles were concerned, for they were not commanded to observe it. Nor is it proper to make it difficult for them, since they did not receive (accept?) the Torah and are not enjoined to observe the 613 commandments. However, it is completely different as far as the Jews are concerned, for they became obligated to fulfill the Torah because God delivered from the iron furnace (Egypt) to be the people of his possession! Therefore they and their children became subjects to it forever. This, their covenant, will not be forgotten from their mouths, nor be discontinued, from their children. For if they have given their lives throughout the generations, as the Psalmist has recorded: All this is come upon us; yet have we not forgotten Thee, neither have we been false to Thy covenant. **Psalms 44:18 – “Though all this came on us, we did not forget you; we have not been false to your covenant; our hearts have not turned back and our steps did not turn away from your path. Certainly, therefore, there is no doubt that one who seeks truth will agree with our thesis, that the Nazarene and his Apostles never meant to abolish the Torah of Moses from one who was born a Jew. 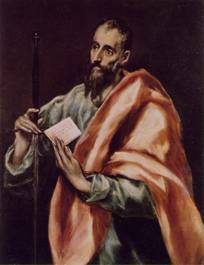 Likewise did Paul write in his letter to the Corinthians (I Corinthians) that each should adhere to the faith in which each was called? They therefore acted in accordance with the Torah by forbidding circumcision to gentiles, according to the Halakha, as it is forbidden to one who does not accept the yoke of the commandments. They knew that it would be too difficult for the Gentiles to observe the Torah of Moses. They therefore forbade them to circumcise, and it would suffice that they observe the Seven Noahide Commandments, as commanded upon them through the Halakha from Moses at Sinai. I have recently seen someone publish a book, and he had no idea about what he was writing. For if he had understood the subject, he would have kept his silence and not wasted the paper and ink. There are also found among us foolish scholars who know not their right from their left in the Written and Oral Torah and cause the people to err with their pompous pronouncements. But there are true scholars among the Christians, just as there are the chosen few among Torah scholars; and there are few of the truly great by doing away with idolatry and removing the images from their midst. He obligated them with the Seven Commandments so that they should not be as the beasts of the field. He also bestowed upon them ethical ways, and in this respect he was much more stringent with them than the Torah of Moses, as is well-known. This in itself was most proper, as it is the correct way to acquire ethical practices, as the philosopher (Maimonides) mentions. We have written similarly in our Siddur. However, it is not necessary to impose upon Jews such extreme ethical practices, since they have been obligated to the yoke of Torah, which weakens the strength of the (evil) inclination without it. They have taken the oath of Sinai and are already trained in proper practice and nature. These are clear words that will not be rejected by a clear-thinking person. If certain Christians who consider themselves scholars would understand these secrets, who believe that they are commanded to abolish the Torah of Moses from the seed of Israel, they would not engage in such foolishness. 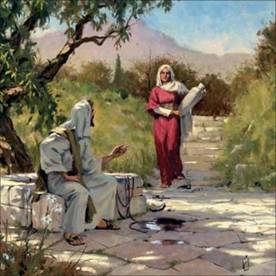 The people listen to their self-conceived words, something which was never intended by the writers of the Gospels. Quite the opposite, they have written clearly that they intended the contrary. Because of these errant scholars, hatred has increased towards the Jews who are blameless of any guilt and proceed innocently to observe their Torah with all their hearts, imbued with the fear of God. They should instead bring their people to love the ancient Children of Israel who remain loyal to their God, as indeed commanded to Christians by their original teachers. Taken from “Jesus the Pharisee – a New Look at the Jewishness of Jesus” by Rabbi Harvey Falk, Paulist Press, 997 Macarthur Boulevard, Mahwah, N.J.,07430, 1985, pages 17-23.